A photograph of a woman posing with a cat that has a bow ribbon on its neck. 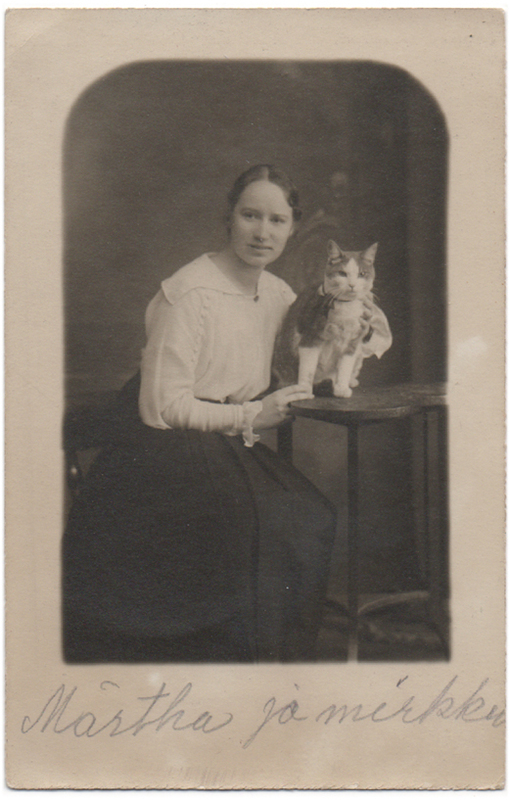 Both the woman’s and the cat’s name are written on the photograph: the woman was named Märtha, and the cat was called Mirkku (written without a capital letter on the photo for some reason). 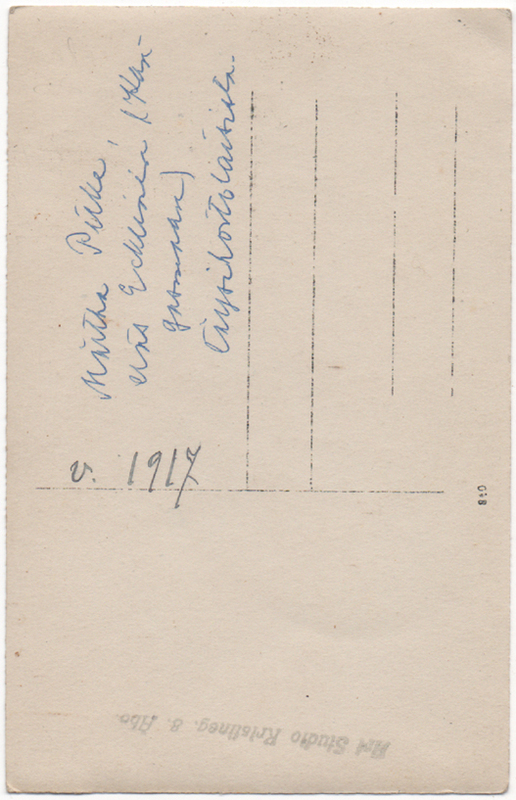 The back of the photograph offers even more information: “Märtha Pilke, eräs Ecklinin (Kangasmaan) täysihoitolaisista”, which translates as “Märtha Pilke, one of Ecklin’s (Kangasmaa’s) boarders”. I think it might be possible to find out more about Märtha based on the information here if I just knew where to go searching. The photograph was taken in Turku, Finland, at Art Studio photography studio, in 1917 (as is also written on the back of the photograph).